Touch Screen Controller is a dedicated device that will give you ability to setup Yacht router and easily control wireless networks and Internet connections on your vessel. It is embedded device with the same level of functionality as control software that is used on a computer running Windows OS that control Yacht Routers with addition of several features regarding built-in upgrade and software version control functionality. • Replace dedicated computer for Yacht Router setup and control. • Compatible with all Yacht Router models. 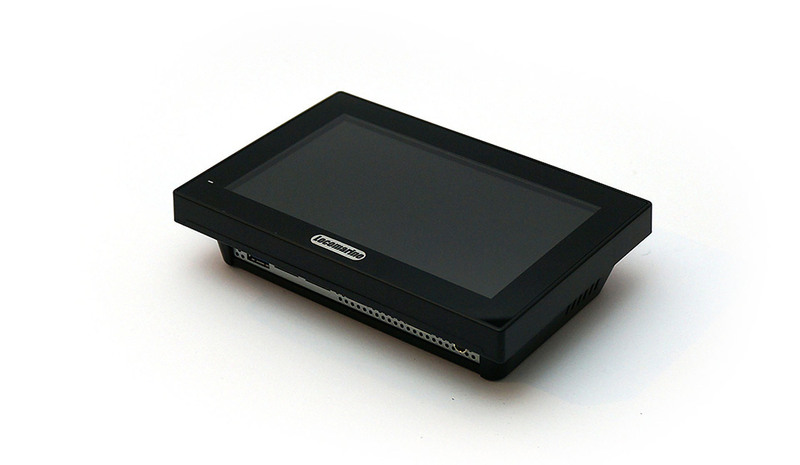 • 7” touch screen color display. • Single glass touch surface (IP65). • Wall and panel mount installation. • Maintenance-free, one-touch software update. • Power input 10-30 VDC or 110-240 VAC (via AC/DC adapter).